M. Night Shyamalan's The Last Airbender contains a few moments of grace and visual wonder, moments that dare to show me something I've never seen onscreen before. It's a shame that said beats are contained within a stunningly inept story. 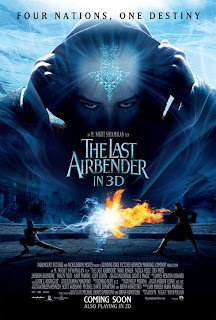 Apparently based on the first season of the acclaimed Nickelodeon cartoon Avatar: the Last Airbender, the film is a structural disaster, choppily bouncing from one brief expositional scene to another. The picture has no rhythm and no pacing, feeling both heavily edited and curiously padded. As the introductory chapter to a three-part story, it fails to inspire any reason to care about what comes next, as not a single character emerges from the haphazard narrative. As a film from the man who once wrote and directed such films as The Sixth Sense and Unbreakable, it is a heartbreaking tragedy, a 'sign' that perhaps the once-great M. Night Shyamalan is truly 'broken'. A token amount of plot - Well, this film is nothing but plot, arguably the most exposition-filled film since Kevin Smith's Dogma (at least the latter was filled with fine actors doing grand character turns). Anyway, the film concerns a world which is broken up into four nations: Fire, Wind, Water, and Earth. In the prior ages, a peace between these four worlds was maintained by one called 'the avatar', but the young boy who was next in line mysteriously disappeared 100 years ago. Since then, the ruthless Fire Nation has embarked on a world-dominating reign of terror. But, by happenstance, a pair of young Water Nation scavengers have discovered the frozen body of Aang. Now alive but with no memory of how long he had been away, the young airbender must make peace with his earlier cowardice and fulfill his destiny. The writing is putrid, filled with overtly shoe-horned voice over narration and pointless ADR-added explanations. The dialogue often feels overwritten and delivered in a stilted manner suggesting a foreign film dubbed back into English. I've often complained of cartoons and films that suffer from the 'we gotta find that treasure' syndrome (IE - characters explicitly explaining what the obvious goal of a given scene is). 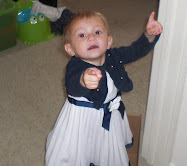 But without said voice over and said 'we gotta find that file!' dialogue, the film would nearly be a silent picture. Nearly every single line in this film is expositional in nature, either explicitly stating events that occurred off screen or detailing plainly visible onscreen action. I don't know whether this was caused by post-production hack-n-slash, or whether it was simply the byproduct of cramming an entire twenty-episode season into about 95 minutes of movie, but the film never feels like a whole motion picture, but rather the cliff-notes of a much larger story. There is no character development because no scene lasts more than a minute or two. There is a hint of character arcs regarding the banished son of the evil leader of the Fire Nation, but Dev Patel has little to work with. Considering all of the (understandable) outrage that came from casting four Caucasians in lead roles that were Asian in the original animated series ('racebending'), it is almost offensive that the lead actors are blank slates from beginning to end. This is clearly not a case of Shyamalan sacrificing the racial balance of his story for the sake of casting an irreplaceable young actor (there is no Haley Joel Osment-like discovery in the mix here). Frankly, the casting has an accidental (?) racial undertone, as the good guys of the Water Nation are all white and/or British while the villainous Fire Nation people generally all portrayed by Indian or Middle Eastern actors. This is doubly-ironic as the villainous pose has a few decent actors in the mix (Shaun Toub, Cliff Curtis, Aasid Mandvi), so their devious skulduggery provide the rare moments of entertainment. The film looks suitably epic in scope and in content. Shooting in 2.35:1 for the first time since Unbreakable, M. Night Shyamalan fills the screen with impressive sights and never feels the need to linger. The special effects are fine, and there the moments of visual wonder never feel forced into the narrative for their own sake. As for the 3D conversion, this is a classic case of good news/bad news. The good news is that you'll hardly ever notice that you're watching a 3D conversion. 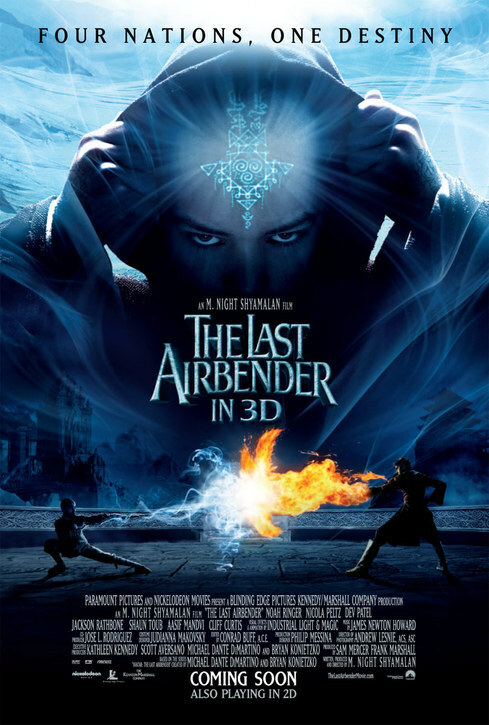 The bad news is that you'll hardly ever notice you're watching The Last Airbender in 3D. There are few 'eye-popping' moments that take advantage of the technology, and there is occasional blurriness during certain long pans. Point being, there is absolutely no reason whatsoever to see the film in 3D. The only parts of the film that truly work are the rare moments of action spectacle. While they are few and far between, the airbending action is genuinely engaging and original in conception and construction. Shyamalan has an eye for shooting real action, as his set-pieces are rendered in long, fluid takes that showcase the obvious skill involved. Even when the overly-elaborate conjuring moments seem to resemble a dance, this is still something that we've never seen before. Even if he has lost his touch with writing and with directing actors, M. Night Shyamalan certainly has the technical skills to make a worthwhile action picture. But this is not that film. While the film is rated PG, it could have easily gone out as a G. There is no tension, no suspense, and a very low body count (the film climaxes with scenes of scores of soldiers fighting each other, but no one ever seems to strike a blow or fall down). And since we are constantly told that Aang the last airbender will be resurrected upon his death, we're not too worried about his well being. The Last Airbender is a tragedy, pure and simple. It contains terrible writing, atrocious acting, and a choppy narrative that feels far more patched together than even Jonah Hex, despite running a reasonable 102 minutes. I don't know what happened to the M. Night Shyamalan who wrote and directed The Sixth Sense, Signs, Unbreakable, and even the flawed-but-worthwhile The Village. I don't know what he had at Disney that he hasn't had at Warner Bros, 20th Century Fox, and now Paramount (someone to tell him 'no'? ), but he desperately needs to find it again. I wrote in my review of The Happening (which is a masterpiece compared to this one) that I still hadn't given up on Shyamalan. And, frankly, I still haven't. But that says more about me than it does about him. The main character's name should have two a's. Aang. Otherwise, thanks; I won't be seeing this.